Cambridge Folk Festival has this week announced the final headliners and a whole host of new acts set to entertain the crowds at Cherry Hinton Hall August 1st – 4th. 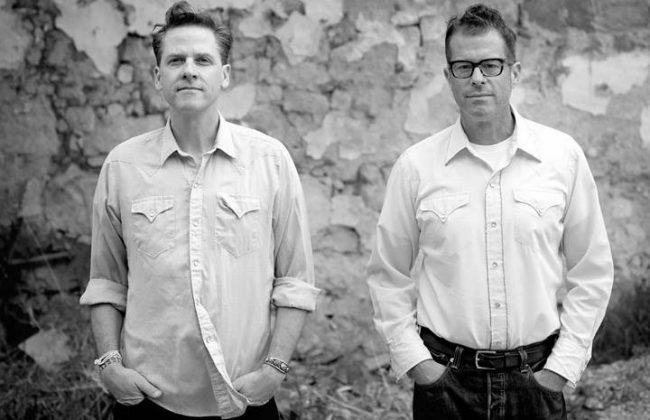 Newly announced as Friday’s headliners are the collective of Calexico and Iron & Wine. The trio consisting of Sam Beam (Iron & Wine) and Joey Burns and John Convertino (Calexico) will be performing their country-blues rock to the Cambridge faithful. Also announced today are the Sunday night headliners, another collaboration, this time between the most famous ambassadors of Malian and African music, Amadou & Mariam and the living legends of gospel music, Blind Boys of Alabama. Having collectively worked with everyone from Lou Reed, Bonnie Raitt, Willie Nelson, The Yeah Yeah Yeahs and Damon Albarn, this eclectic mash-up will be the perfect end to the weekend. Having recently won the Lifetime Achievement Award at the esteemed Americana UK Awards, Graham Nash needs no introduction. His history from The Hollies to Cosby, Stills, Nash & Young and through his solo career has cemented him as one of our greatest ever songwriters. Best known as frontman for Welsh rockers Super Furry Animals, songwriter and composer Gruff Rhys has more recently been carving out a very successful solo career and will be making his debut at Cambridge Folk Festival. Lauded by celebrities such as Martin Freeman, Keira Knightley and Ewan McGregor and fellow musicians Elvis Costello and Robert Wyatt, The Unthanks also have received critical acclaim across all media including NME: “Rachel and Becky’s voices are one of the true wonders of 21st-century music.” Mixing Northumbrian folk music with traditional English folk music and many other musical genres The Unthanks siblings are no strangers to the Cambridge audience. They will be joined at the festival by fellow Northumbrian Kathryn Tickell and her band of musicians from elsewhere in England, Scotland and Ireland, The Darkening. Adding some raw blues to the weekend will be American blues and soul singer-songwriter and guitarist, Robert Finley. After decades of performing semi-professionally followed by time away from music, Finley made a comeback in 2016. He released his debut studio album, Age Don’t Mean a Thing, later in the year, which was met positively by critics. Siobhan Miller is widely regarded as one of the foremost vocalists in Scotland having won the Scots Singer of the Year a record-breaking three times (2017, 2013, 2011). Her soulful and stirring renewal of traditional song effortlessly stills and silences all spaces from vast concert halls to the bars of her hometowns. The Rails are husband and wife James Walbourne and Kami Thompson (daughter of fellow Festival performer Richard Thompson and musician Linda Thompson). Blending bits of Celtic, soul, blues and folk, their sound has been described as early ‘70s style folk which is surely a huge compliment, with a nod to the greatest bands of that generation. Holy Moly & the Crackers make riotous party music for the masses. Their new album Take a Bite will be released in April and combines folk and blues with powerful indie rock. One for dancing to for sure! Another collaboration to be taking to the Cherry Hinton Hall stage will be The Tweed Project, six of the best performers on the UK folk scene. A collaboration between some of Scotland and England’s most in-demand explorers of their respective country’s folk traditions. The aim of the project being to find common ground between the Scottish and English folk traditions. First formed in 2015, the project has been reborn with a new line-up for 2019 comprising: Greg Russell (Vocals/Guitar/Bouzouki), Josie Duncan (Vocals), Ciaran Algar (Fiddle), Pablo Lafuente (Guitar), Evan Carson (Percussion) and Ali Levack (Whistles/Pipes). Finally, Rob Heron & The Tea Pad Orchestra don’t care what genre you choose to put them in – western swing, country blues, ragtime hokum or whatever else – as long as you understand that they’re 100% sincere and 100% immersed in this stuff. This is no lazy pastiche, no dressing-up box. They live and breathe this music and want you to get immersed with them. Their sound draws on a myriad of influences from Bob Wills to Django Reinhardt, George Jones to Tom Waits, yet ultimately sounds like nothing else, a North-Eastern swing style that’s utterly their own and constantly evolving. Stage 1 headliners are Calexico and Iron & Wine (Friday), Lucinda Williams (Saturday) and From Bamako to Birmingham featuring Amadou and Mariam and Blind Boys of Alabama (Sunday). 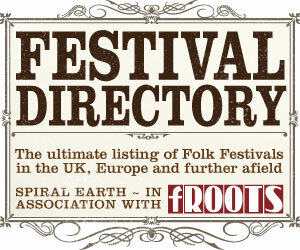 Stage 2 headliners are Ralph McTell (Thursday), Robert Finley (Friday), Tunng (Saturday).